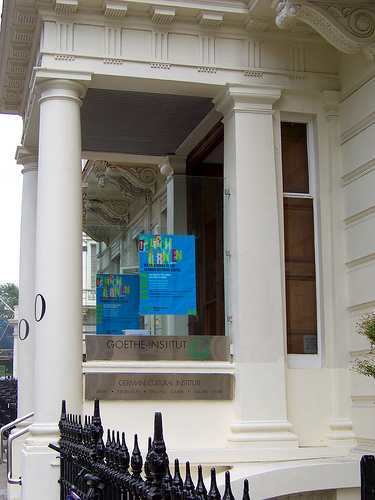 Last June, the Year 9 German classes went on a trip to the Goethe Institute in South Kensington, London. Pupils took part in two different workshops, both of which were highly enjoyable. The first one was all about PopKultur. Our hosts Edward Chappell and Luke Roskilly led us through a series of fun activities all about naming body parts in German. This was followed by an introduction to a song in German by rap artist Stephan Remmler (see picture and link to the sound track below). We completed gap fill exercises and practised singing the verses in German. Once we were sure of the lyrics, we added in some actions to highlight the meaning of the verses. We split into small groups and each group worked on a single verse. At the end, we all came together again and Luke filmed the whole thing on video! 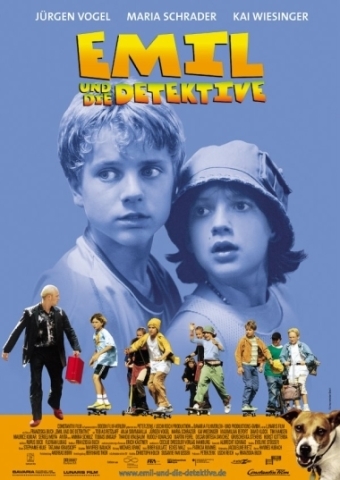 The second workshop was based on an amazing film called “Emil und die Detektive”. First we watched the DVD – a lovely story about a boy who travels to Berlin to help his father who is in hospital with a broken arm. On the way, a thief called Max steals all his money and the film is all about his adventures and the friends he makes in Berlin. Afterwards we completed a biography in German about the author Erich Kästner and we sequenced the events of the film in German, which really helped us understand the plot. If you would like to find out more, visit the display in S10 (picture below)!